BAD NEWS… GST and the falling Ringgit will see an increase of most of our darts products starting April 1st (no joke). Prices of some Harrows products will go up around 10%, our One80 dart boards by 6%. 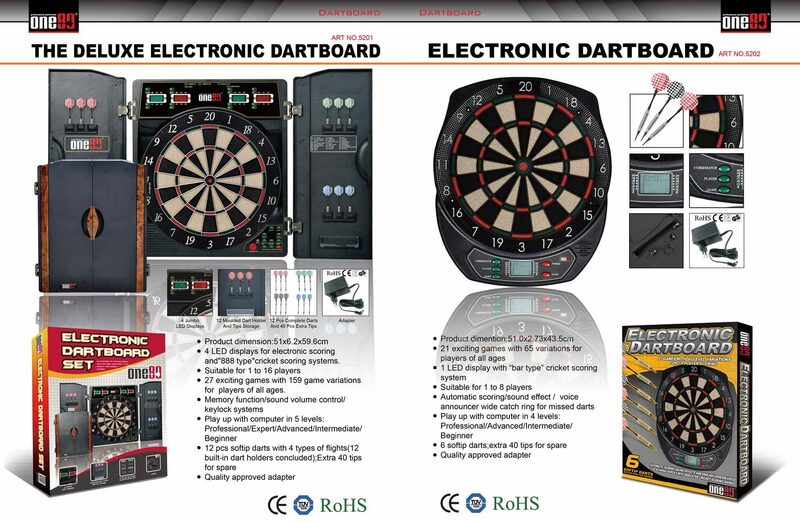 We are out of stock of the One80 Standard (RM220) & Deluxe (RM490) Electronic Dart Boards until the 5th April. If you order and pay 30% deposit before end of the month you can beat the GST 6% price rise. Drop into our showroom or Email us at info@billiardsdirect.com.my or WhatsApp 019-327 8956 if you want to book one.